Ostrich has a very beef-like quality but is a much leaner meat. 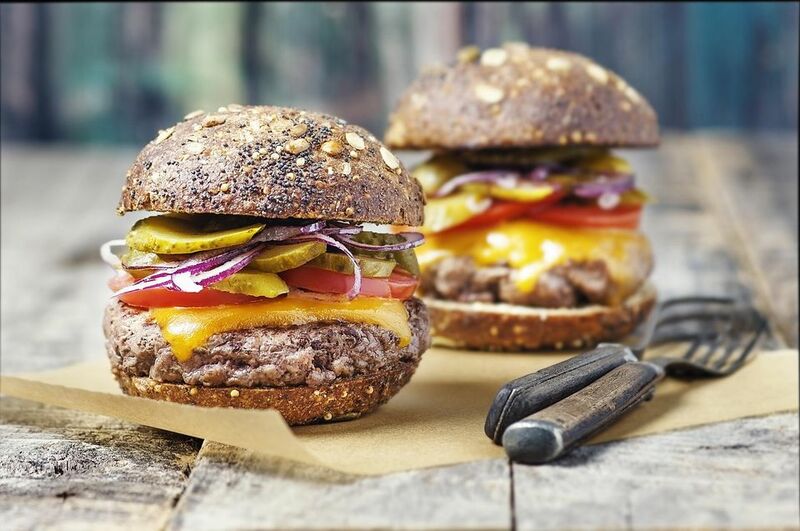 You might just be able to fool a few people with this ostrich burger recipe. Saute onion and garlic in olive oil until slightly brown. Allow it to cool. Combine with other ingredients and form into patties about 1 inch thick. Preheat grill. Place patties on hot grill and cook on each side for 5 to 6 minutes or until done (an internal temperature of 165 F). Serve on buns with your favorite hamburger toppings.